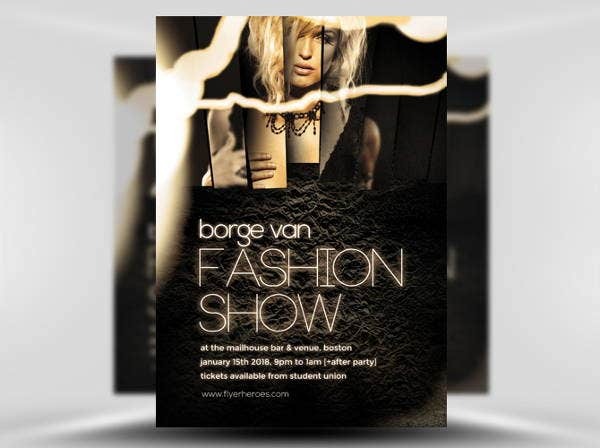 Fashion show flyers are mostly used by event companies, corporate houses, fashion studios, fashion institutions to promote their fashion events and fashion shows. Flyers helps in the marketing and promotion of the event and provides the event with a visibility and makes the target audience aware about it. 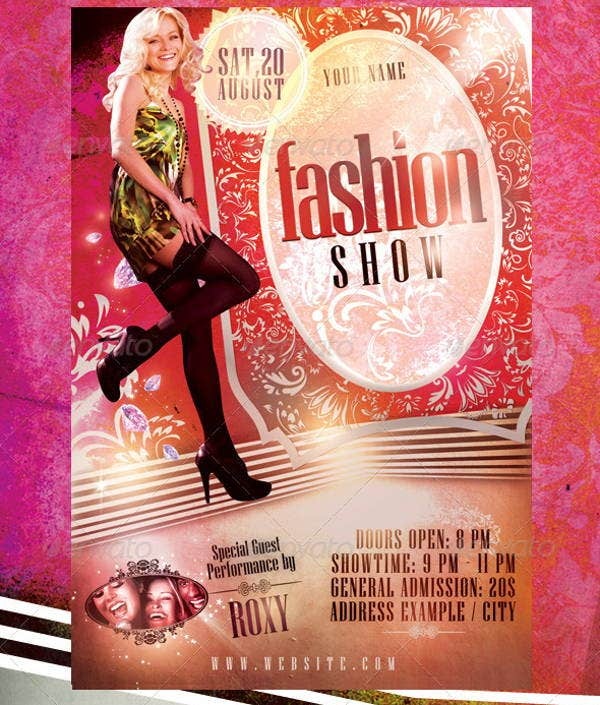 With the given template that we have compiled here you can easily create fashion show flyer design in no time. The given templates are all easy to use and easy to customise. 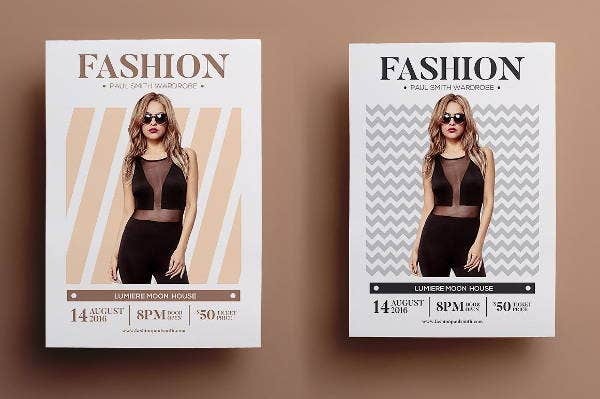 This fashion flyer templates comes with 3 design variations. This template is suitable for creating any fashion related content be it flyer, poster or print advertisement. It can also be used to promote any fashion event. This is a print ready file and is fully editable. The text and colors can be edited and you can change them as per requirement. The images given are not available in the file and you will have to use your own images. 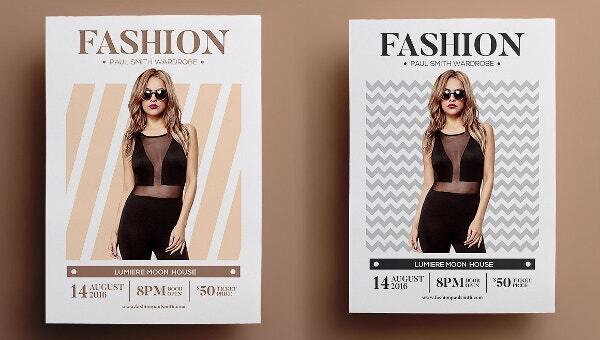 This fashion show flyer template presents an advertising design that looks glamorous and elegant. There are not too many design elements used in the flyer and that makes the design look neat and much focused. 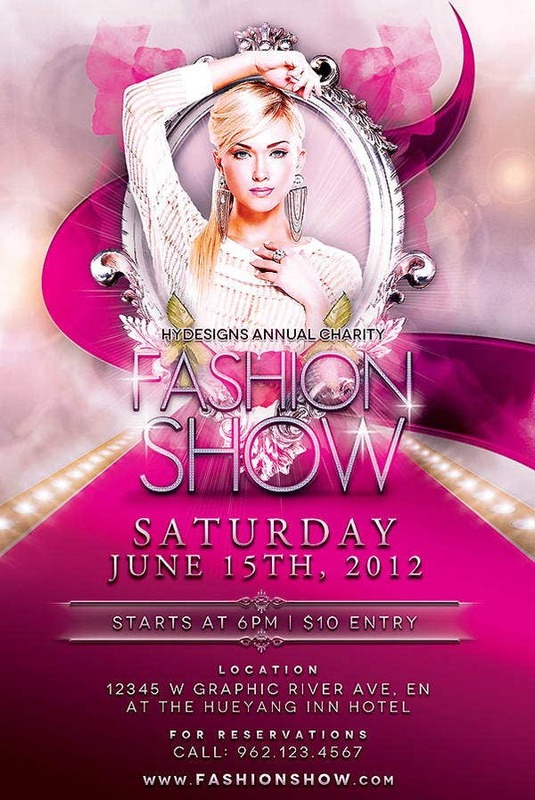 The typography has been used to add in the blings and that is how a fashion show flyer design should be approached. As per the description, this is a premium quality fashion show flyer that has been designed with a tropical theme. The layout and the structure of the flyer template is clean and well organized. All layers in the files are arranged color coded and simple to edit. The template includes two photoshop files of different sizes and tutorials to help you edit the template and create a flyer of your own. The images used are not provided in the template file. 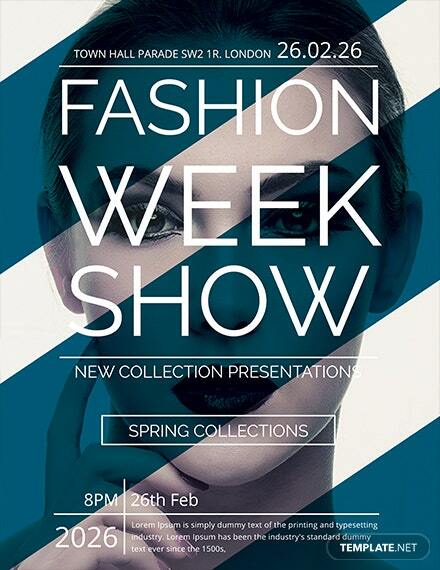 The given fashion show flyer template comes in both AI (Adobe Illustrator) and PSD (Photoshop) files. You are also provided with color variation and editable files with smart objects that help you edit and customize the template and make the desired changes easily. The images and text can be easily replaces using simple editing techniques in photoshop. 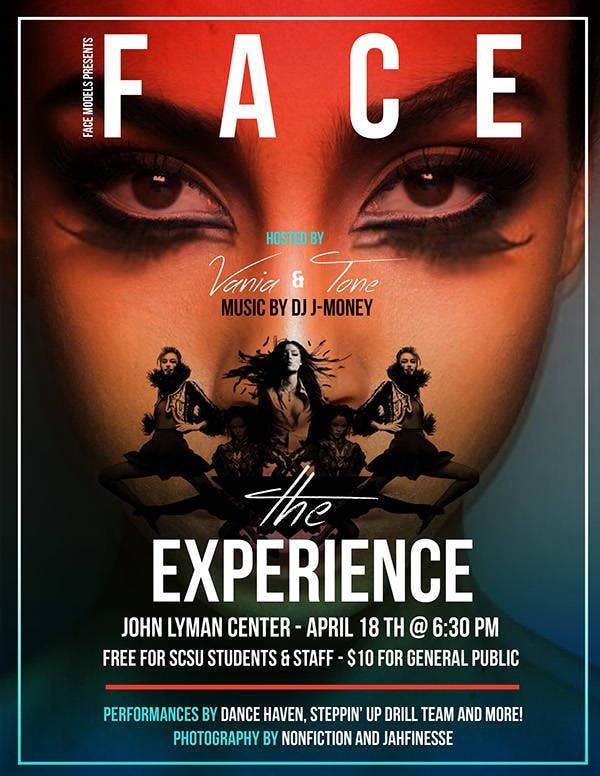 If you are creating a fashion show flyer or advertisement, you have to make sure that it is classy and elegant and immediately attracted fashion lovers. Here is one such flyer template that is very much suitable for a fashion as it has been designed in similar taste and style. This template can be used with Photoshop CS4 and higher. Also, you get an Unlimited Use and 100% Royalty Free License which allow you to use this product as many times as you wish and for as many clients. You are free to use this product in both personal and commercial work. 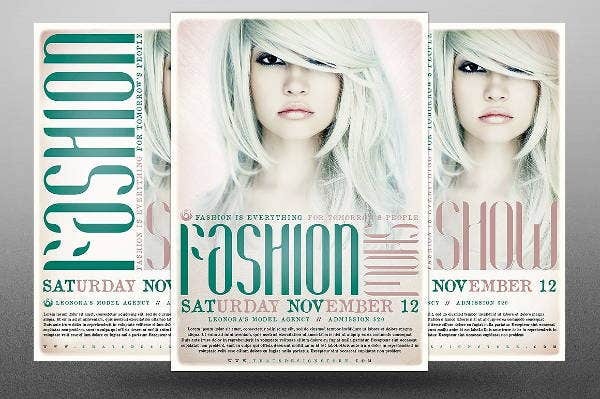 This fashion show flyer template is available in AI and PSD format and is available in two color variations. You make download the template and make all kinds of changes to suit your fashion event. 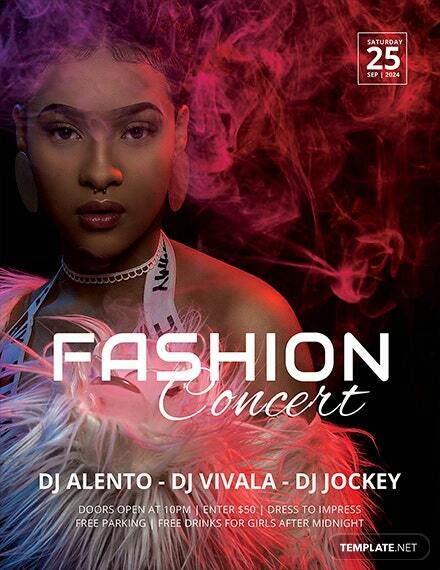 With this flyer template you can promote your fashion show event without going through the time taking process of designing. All you have to do is, download the template and edit it to add text and replace images. In no time, your fashion show flyer design will be ready. The file is well organized, separated in color groups and layers named appropriately. It is made available in 3 different styles and all these style are available in this template. 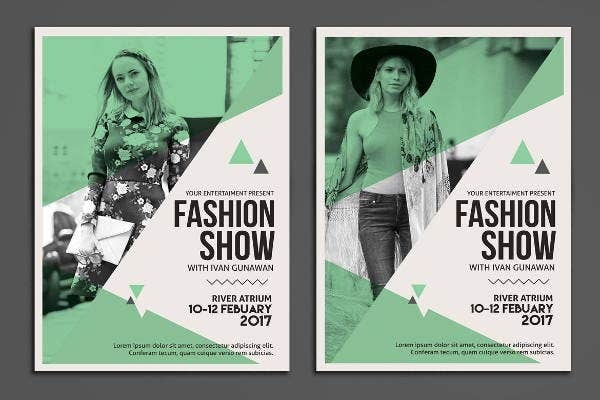 Use this template to create your fashion show flyer design and save time and efforts. 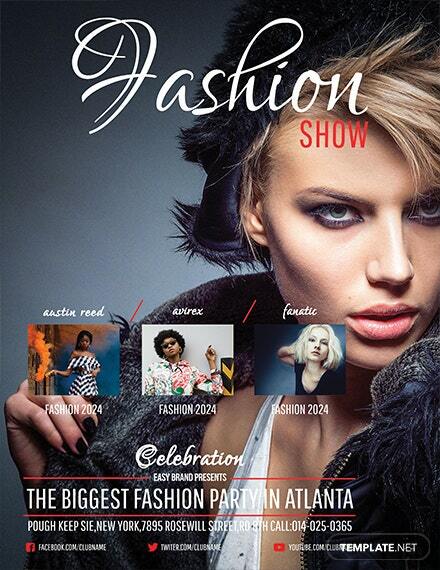 This Fashion show flyer templates looks more casual as compared to the other templates given in the list. 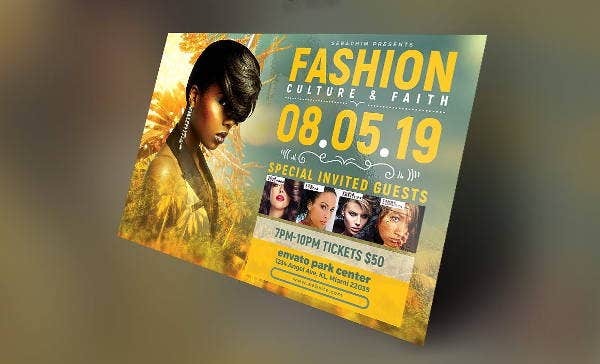 If you think you fashion show event is going to be more of a casual affair, you can use this template to create a casual fashionThe file is well organized, separated in color groups and layers named appropriately show flyer design.